So we're watching an episode where there was a destructive monster frog. It was already ridiculous for her age and gender. I mean, for me, monster visual stuff is more of a boy thing. Is that sexist? But yeah, I'm not making her stick to Barbie and everything pink-y all the time. I'm cool like that. Hell no was I tried to be cool when there was a scene of Finn having flashbacks with words in repetition. What words, you ask? SHY, FIRST BASE and MAKE-OUT. Why in that series?! I was mortified. I feel like a bad parent for putting malice in the situation. But you can't blame me. She's a four-year-old pretty girl! And I can't afford to be the one pushing her to worldly deeds. I am to study Sky Cable's Digibox manual. Let's block that channel tonight when she sleeps. Share me your thoughts on this, please. Agree with you. That's why I don't let my kids watch cartoon network because their series are quite violent and some of them are pretty rough for our toddler's age. Pang matanda na peg ng cartoons na nag iisip bata. Minsan nga kahit c Phineas and Ferb hindi ko rin gusto kase they have bad choice of words na rin. It's so sad. So my kids will stick to nursery rhymes and disney junior only. Same here Ms. Bebeng, Cartoon Network is a big no-no in our home. Hindi lang Adventure Time problema ko dun, pati yung Phineas and Ferb, Oggy and the Cockroaches na walang sense, kahit yung Sponge Bob walang dulot na aral eh. Hanggang Baby TV at Disney Junior lang talaga sila, bawal ilipat sa ibang channel. I once heard my 3-year old say "Curse you wind!" nung minsang liparin ng hangin yung skirt nya. From then on, I watched cartoons with her na. And of course I reprimanded her for saying that and told her it's not right to say that. I'm pretty sure she got that phrase from one of the Cartoon Network shows. I Agree parents! first i didn't like the Cartoon network its not funny and educational now. Mostly some of the cartoon are yucky and annoying and sometimes even in Nickelodeon too. My son and I love Disney Junior! 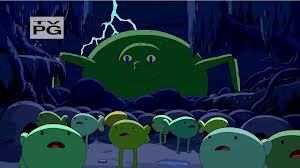 I watch Adventure Time too and I make sure Kelly's not with me. Parang pang adult ang content eh plus may violence rin. Ang ginawa namin kay Kelly, nagdownload kami ng mas child-friendly movies like Princess and the Frog, Tangled, Hi-5, etc. and placed all of them in a USB. Pag tv time na niya, isasaksak lang namin yun sa tv so she can choose a movie/show na na-filter na namin (unlike sa Cartoon Network/Nickelodeon/Disney na kahit ano pwede niya mapanood). I'm not updated but they used to have Kids Next Door...sorta like hiphop kids who talk tough.I didn't watch it by my nephew who was around 5 years old then loved it. I also find Adventure Time weird. I will never understand why kids are so drawn to it. Honestly i've been turned off by Nickelodeon for quite some time now because almost all of their cartoons are just too weird. Like that dog and cat stuck in one body, Courage the Dog, etc. i dont think they're appropriate for kids. For Rain, I had the Disney Junior channel added talaga. It's 100 php additional per month in Sky Cable but its totally worth it. Its perfect for A learning toddler. Small price to pay for Rain's entertainment / development. I just love Disney. Always have! Buti na lang wala kaming cable sa bahay. Pero nakakapanood mga kids ko ng mga cartoons through Channel 5 yung mga tagalized versions kaya wala ako problem sa mga kakaibang words/terms. Yun nga lang medyo hindi sila exposed sa English. Nung may cable naman kami noon more on Disney Jr sila. Kakaloka lang talaga mga cartoons ngayon.. dinadaan na lang tayo sa ganda ng kulay o ganda ng drawing pero ung sense,, wala na.